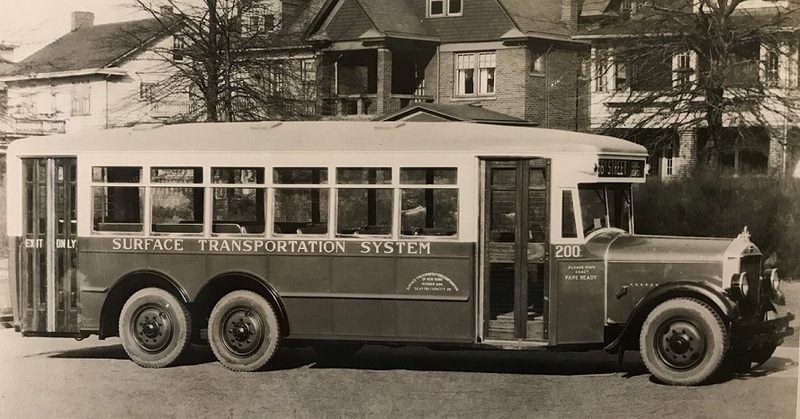 No buses in this wonderful old photo, but it was too good not to share here. TARS Garden Avenue yard, 1945. 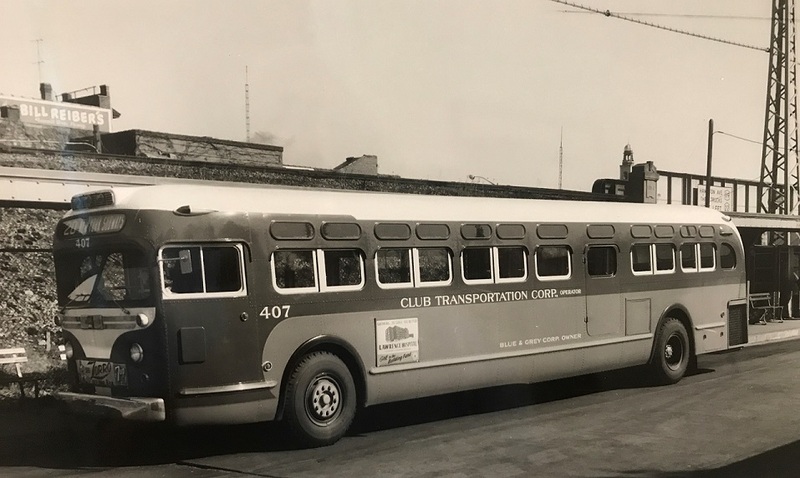 First, regarding the two Twin Coach buses seen in two different photos. One is a model 27G, circa 1939-1942; the other is a post war model 45S, circa 1950. 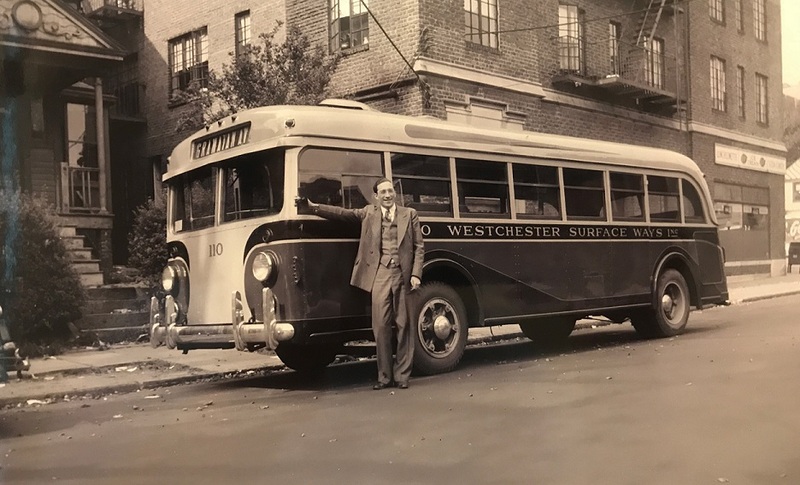 Both were purchased by Surface Transportation but operated in Westchester County by Westchester Street Transportation. 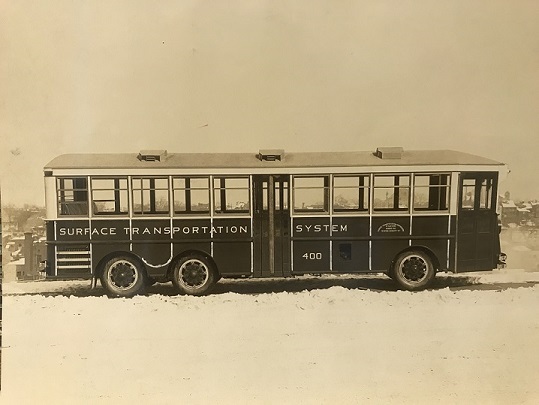 Secondly, the rear end of bus number N543, a Yellow Coach model Z-AAW-323, circa 1928 and appearing in Mr. Kramer’s book, Building the Independent Subway, page 59 belong to North Shore Bus. North Shore would become NYCTA’s Queens Bus Division. 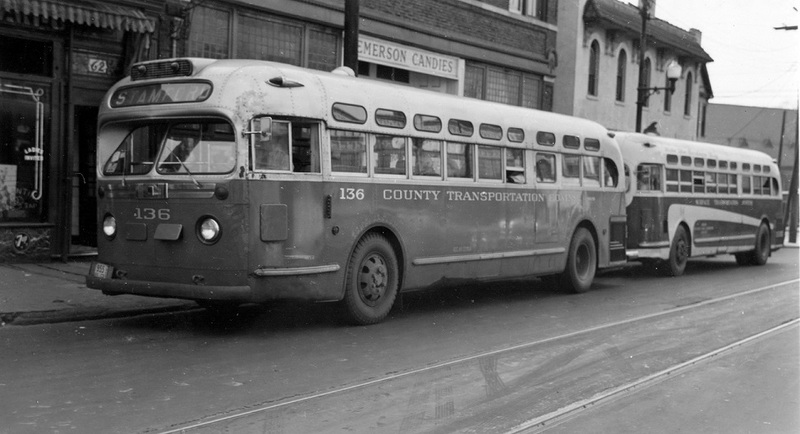 Thirdly, the single deck bus partially visible behind TARS streetcar was manufactured by a company called Six-Wheel. Surface Transportation bought these in 1927. You speculate they were ex-Fifth Avenue Coach. Not correct, FACCo never bought nor operated these buses. 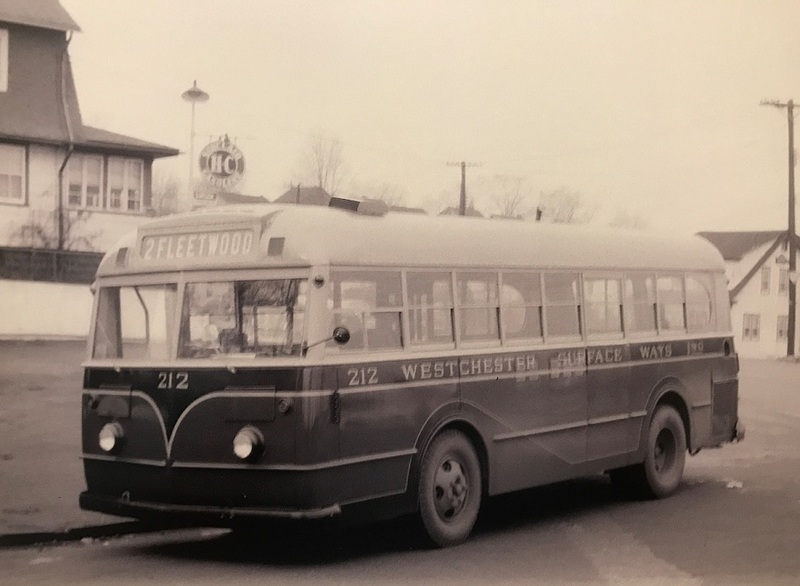 In fact, these Six-Wheel and some Versare buses also operated in Westchester County for Surface Transportation and labeled Westchester Street Transportation. Thanks for taking the time to post these comments; much appreciated! I see I was incorrect on the six-wheel bus that had been cut down from a double decker; upon hearing that the bus in question had once been a double decker, I had assumed that it MIGHT have been an ex-FACCo. vehicle; again, I am glad to know the correct stats regarding that vehicle. 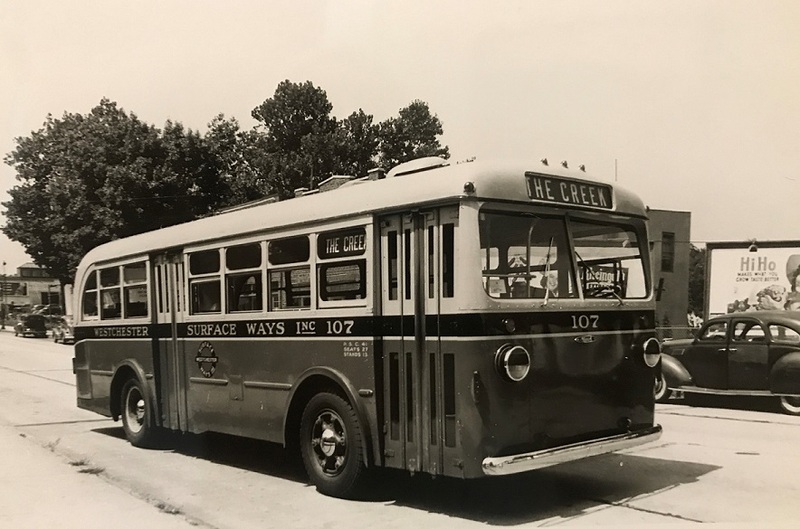 Again, such buses rarely (if ever) show up in old photos. 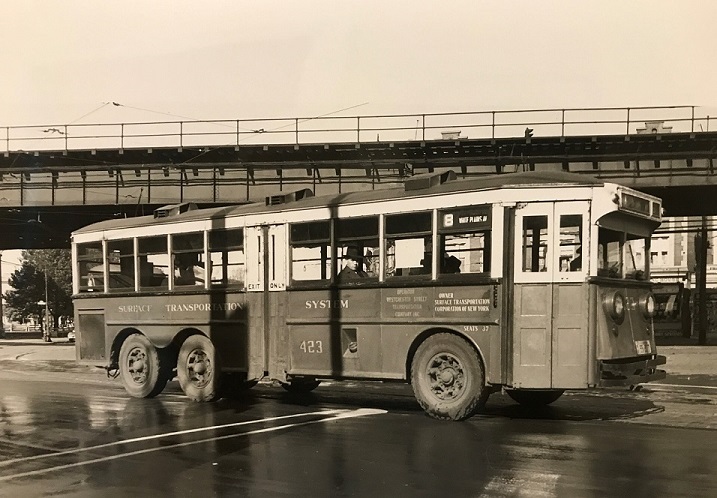 Many thanks for providing these rare VERSARE photos; indeed, these buses looked like NOTHING else on the streets of "Noo Yawk"! I also have a vintage cast iron toy double-decker (also six wheels) that closely resembles the one shown in the one photo; indeed a FORMIDABLE vehicle, to say the least. 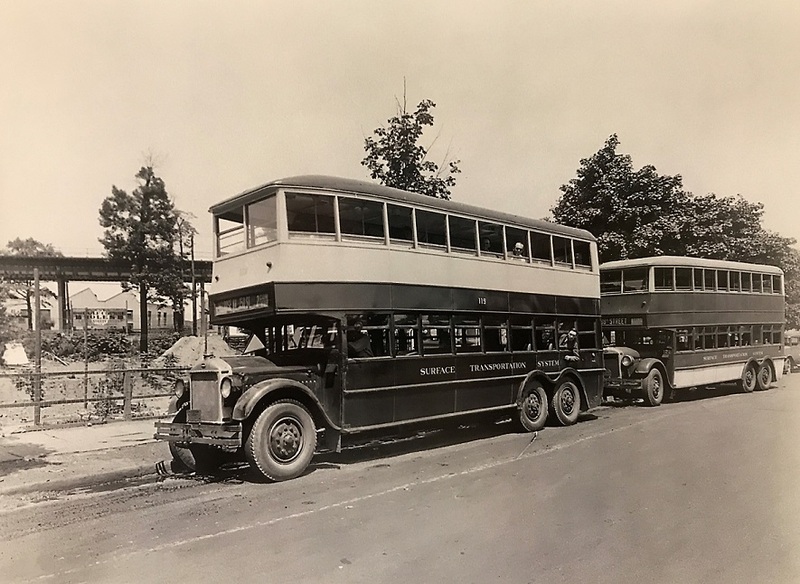 For a number of years, six-wheel double-deckers were also commonplace in London, many decades ago. Many thanks for the clarity of these photos. You deserve thanks for sharing them, but also the photographer deserves thanks for the quality. The route B White Plains Road sign on bus 423 puzzles me, together with the angle of the street leaving the elevated structure. TARS streetcar route designations allowed the use of the same letter as long as the routes did not intersect. B was a Mount Vernon streetcar route that used White Plains Road south to the East 229th Street crossover. The photo does not match that (angle of intersecting street). I have no idea where a Surface Transportation B route would meet an elevated subway. When the current Bx21 was a streetcar it carried the letter B, as much of its mileage was on Boston Road. 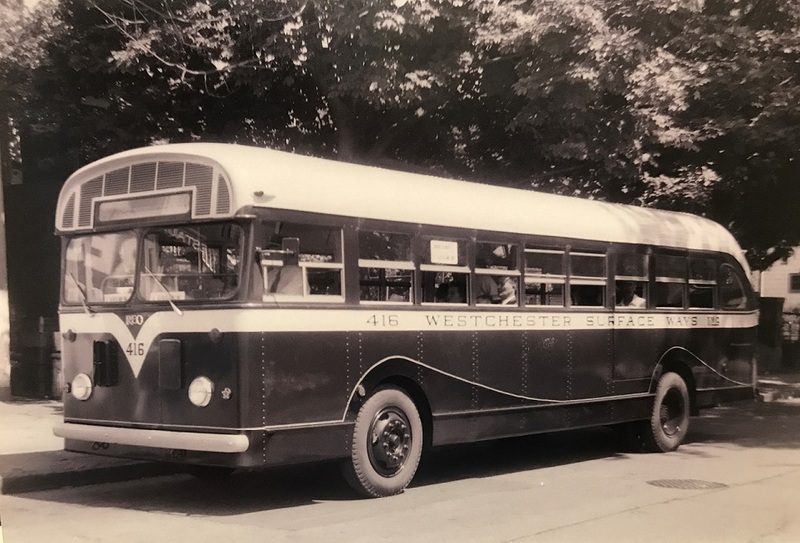 It did meet White Plains Road as it traveled on Morris Park Avenue. That still does not help in identifying the location of bus 423! Also, the photo obviously predates the motorization of those two B streetcar routes by at least ten years. Edit: The location of bus 423 might be Boston Road at Thwaites Place. Notice the ad card on the front for the Zorro television show sponsored by 7UP. 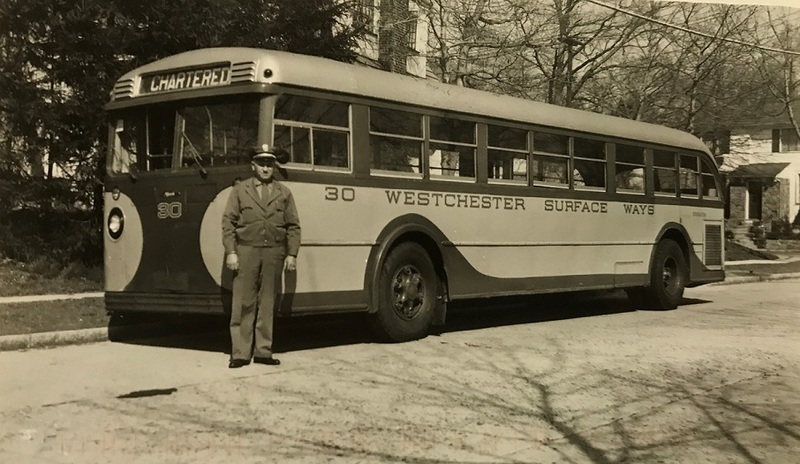 Another operator that ventured into Westchester was County Transportation. The first 10 GM TDH-3209s were purchased by County in 1949. You are CLEARLY "on a roll" tonight!! Many thanks for the clear, helpful photos of County Transportation buses. Someplace in this forum there is a discussion of that company, but without photos. The New York Times of November 15, 1957, page 29, has a lengthy article on County Transportation's petition in Albany to drop nine bus routes in Westchester County. It had already received permission to drop the interstate run to Stamford, as bus 136 is signed. 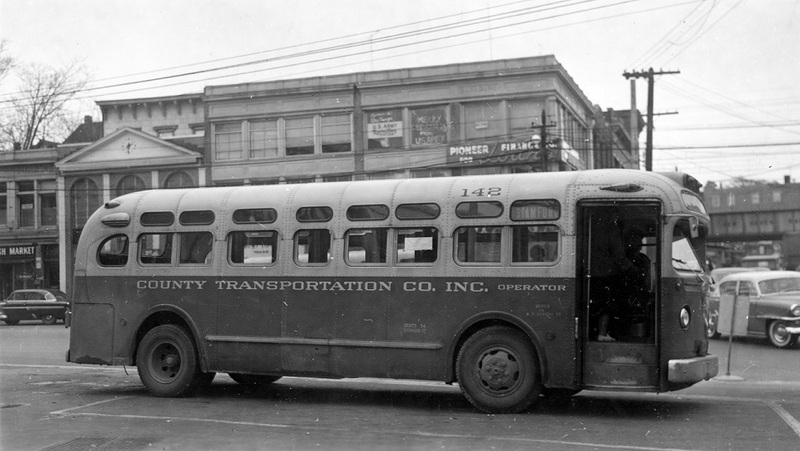 County Transportation, like the Connecticut Company, was a subsidiary of the New Haven Railroad and shared the lettering font and paint scheme of Connecticut Company. West Fordham offered to pick up some of County's Westchester routes, presumably around Rye and along Boston Post Road. The original franchise was to the New York and Stamford Railway. The East Haven trolley museum displays a destination board rescued from the New Rochelle trolley station. The New Haven Railroad saw parallel local transit as feeder helpers, not as competition. Much of what I type is from memory. 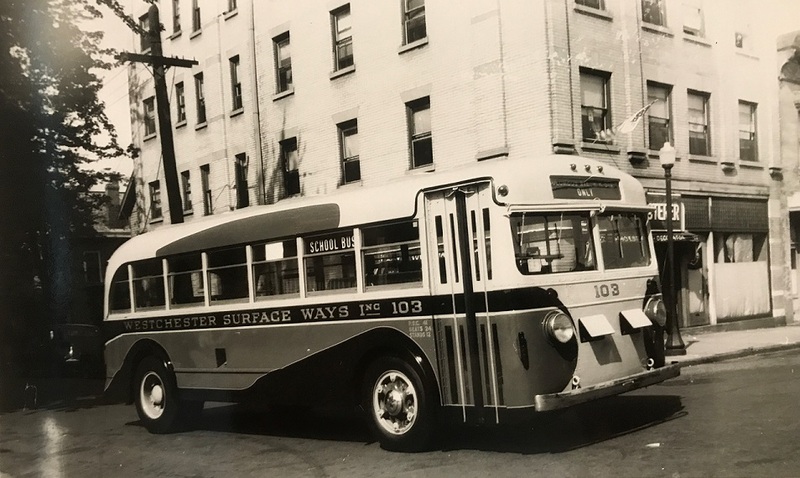 I was so much impressed by the thought of a cross-Westchester streetcar line that a few years ago I boarded Bee Line 13 in Port Chester and had a delightful time following the streetcar franchise to Tarrytown. In the late 1940's, we would see County Transportation at Playland, Rye.